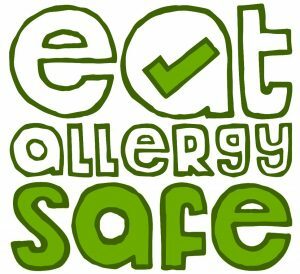 In today’s episode I talk with podcast listener allergy Mum Jessica. Jessica is a mum to two allergy kids, her 2 year old daughter (nut and egg allergy) and 5 month old son (dairy free, and who joins us on the episode). Jessica has just finished her first year of being an allergy Mum and she tells me what its been like. She shares how some things have got easier and what she is concerned about for the future. Although this wasn’t originally a coaching call, towards the end of the episode I offer an alternative ways to think about having nuts in the house, I ask Jessica to talk about why she felt guilty for eating nuts even when she is away from her daughter, and offer a way to think about planning for the future. At the end of the episode Jessica shares what our chat has made her think about and what she’s learned from our chat. Listen to when I interviewed my parents on our journey living with allergies in episode 12, 13, 14 & 15. Subscribe to the podcast on iTunes or Stitcher Radio (android). Thank you to all of you who have sent me feedback! I love hearing your ideas and requests for new episodes or to share your story! If you have a question about your own allergy journey or from the episode, leave a comment below or if you would like some 1-on-1 help you might be interesting in having some coaching. If so, please send me an email for more information.